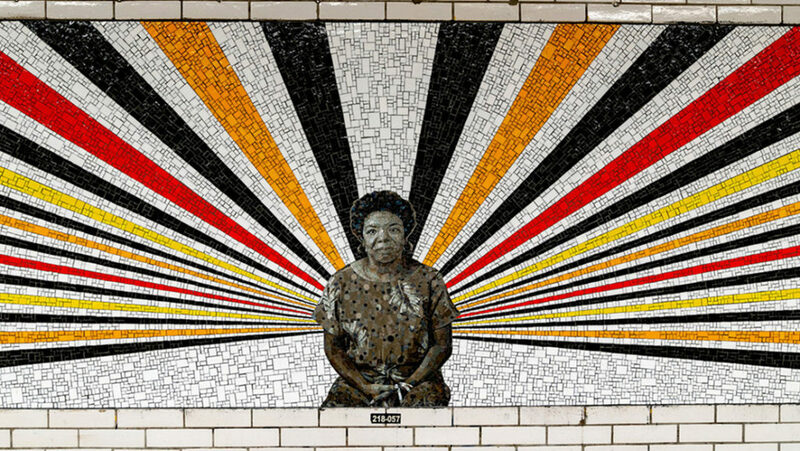 Gorgeous New Murals At Reopened 167th Street Station Celebrate Bronx.. 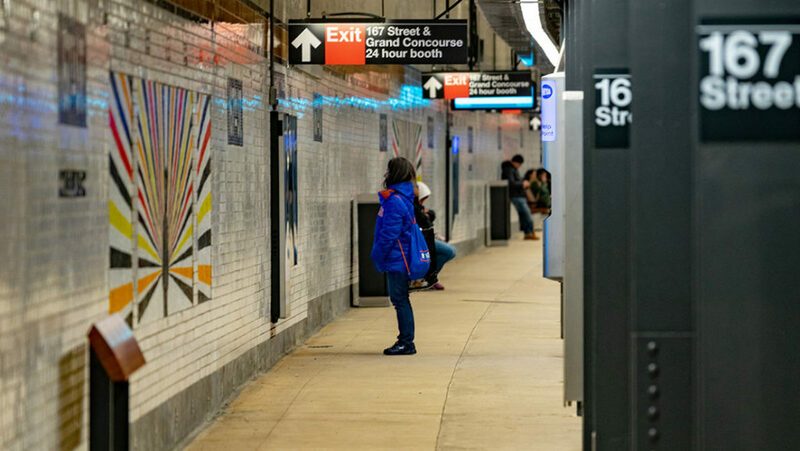 The MTA reopened the 167th Street B/D station in the Bronx last week, after five months of major repairs and renovations, including new concrete and metal platforms, stairs, beams and columns; new LED lighting; digital signage for real-time service information; new turnstiles; and brighter lightning. 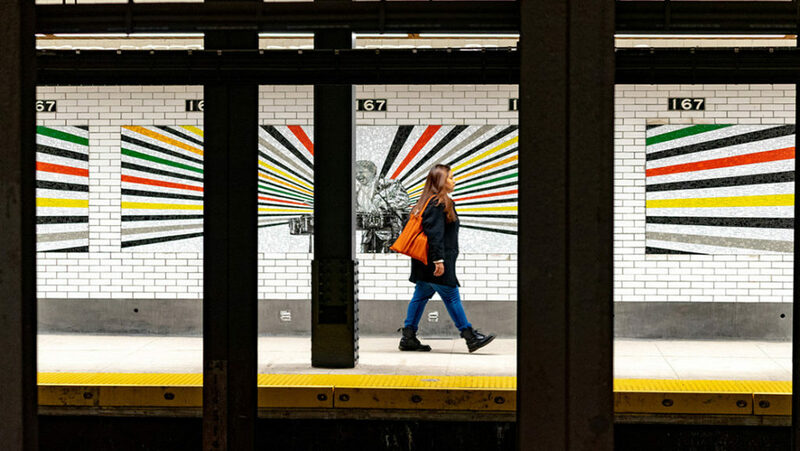 As with other station updates, there’s also new artwork, and the 167th Street station has stunning new murals that pay tribute to figures important to the community. The portraits radiate with beauty and pride of these influential figures, and invite travelers to reflect on the past as well as find inspiration for the future. 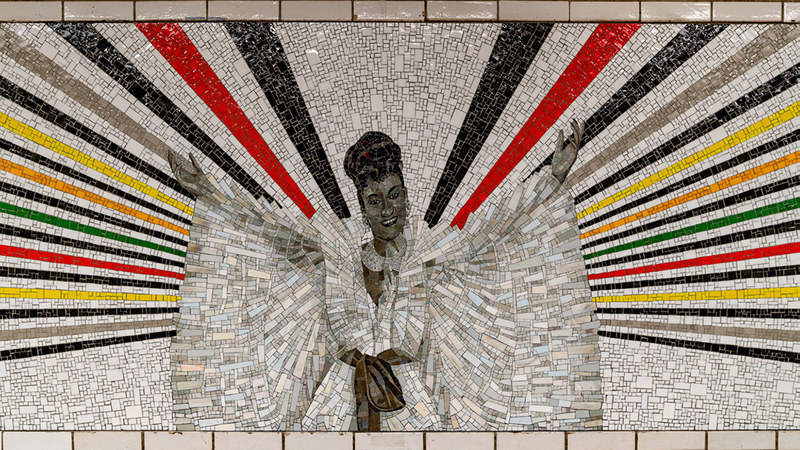 The station’s mosaic murals are an extension of Gatson’s earlier Icons series, showing new ways to present biography and photography in a contemporary, bold and graphic way. Gatson’s artwork reveals a mix of influences—performance, conceptualism, minimalism and constructivism, to name a few—which are combined with an interest in history and representation. 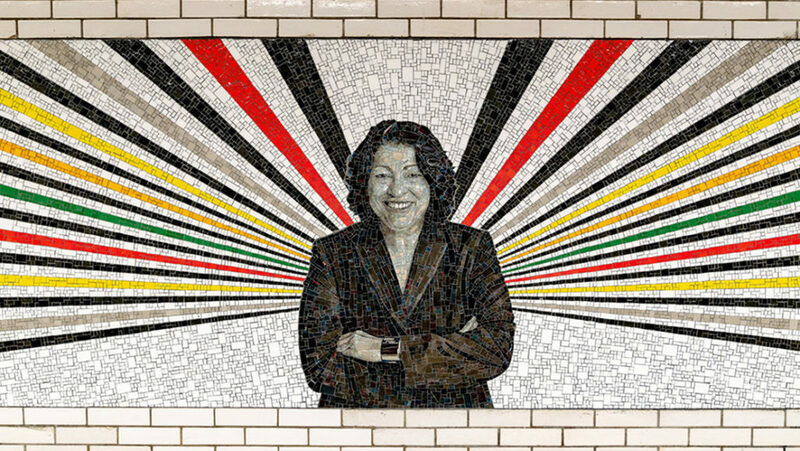 You can see the murals of Gil Scott-Heron, Audre Lorde, Celia Cruz, and James Baldwin on the southbound platform, while the murals of Justice Sonia Sotomayor, Reggie Jackson, Tito Puente, and Maya Angelou are on the northbound platform.